Luke Beaulieu, 57, of Saint David died on Saturday, three days after his 2006 Arctic Cat struck a tree in Madawaska. A Saint David man critically injured in a snowmobile crash in Madawaska last week has died. Luke Beaulier, 57, died on Saturday afternoon at Northern Light Eastern Maine Medical Center in Bangor, according to Mark Latti, a spokesman for the Maine Warden Service. Beaulieu was riding his 2006 Arctic Cat off the Gagnon Road in Madawaska about 11 p.m. Wednesday when he collided with a tree, according to the warden service. Rescue personnel first transported Beaulieu to Northern Maine Medical Center in Fort Kent, but then transferred him to the Bangor hospital. 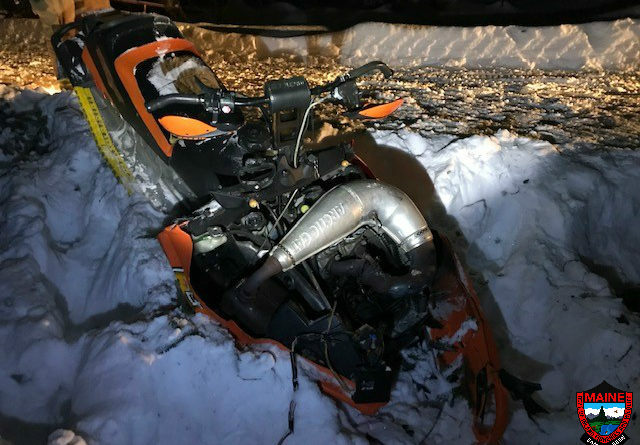 His death, which comes after the March 2 death of a Massachusetts woman in Wayne, is the 10th snowmobile fatality of the season.